Artist short video profile of artist John Robertson who, for many years, used a mobile home for a studio at the beach. This is a video of my exhibition of large-scale Ventura County Fair paintings I created over a period of six years displayed at the Agriculture Museum in Santa Paula, Ca. It’s just a short walk-through prior to the opening of the museum show featuring art of the animals and people involved in rural life and in the Ventura County area..
Painting Demonstration Technique: Draw out a cartoon sketch of figure you want to paint The guidelines are only a rough guide to where to splatter and spread the paint. Basically, you are filling in the blanks. There is an intriguing article about the sports artist John Robertson from the Los Angeles Times written by the Pulitzer Prize winning columnist Al Martinez. It was published in the Los Angeles Times, front page, Southern California Living Section E, Thursday, July 19, 2001. Although the column was written s number of years ago it certainly captures the essence of John. Willie Mays video interview with Derek Jeter & Ken Griffey Jr.
May 6th was Willie Mays birthday. Born in 1931. Back in 2007 I was hired by by Fox Sport to create three large-scale paintings baseball images of Willie Mays for an interview shown during the pregame show for the (MLB) All-Star Game in San Francisco. Two of the paintings were 4 ½ feet by 6 feet and the other baseball art was 4 feet by 8 feet, acrylic on unstretched canvas. The interview was with Derek Jeter and Ken Griffey Jr.. I know, it’s art and it’s fashion - two things you are probably not interested in. But there is “meaning” here. This is about destruction and rebirth in the aftermath of the massive and most destructive 440 square miles Thomas wildfire in California. 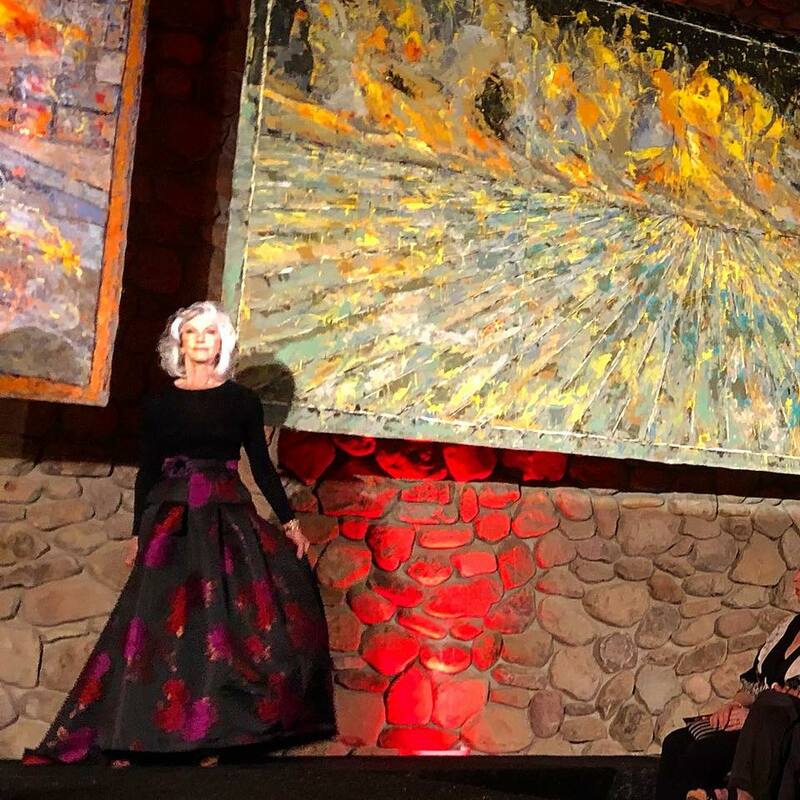 The museum of Ventura County put on an art fashion show where artists created clothing to “mend our spirit and give us the strength to move forward and rebuild”. How does it do that? That is the question. Art is supposed to be cathartic. 1 min time-lapse video of artist, John Robertson in his art studio, painting a large scale, 8 feet by 8 feet, acrylic on canvas landscape painting.